We have a friend of Irish origin in Brooklyn who on encountering an aggressive or erratic driver, always says, “Okay, calm down, Tony.” It’s meant as a humorous reference to the popularity of the first name Anthony among Italians and evokes the stereotype that Italians are excitable and likely to gesticulate when they drive. Is it an ethnic slur? 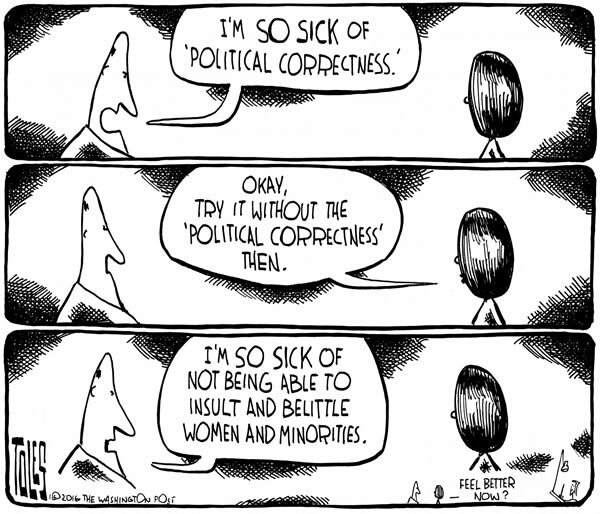 I think my friend was wrong for reasons that go to the heart of what drives people crazy about so-called political correctness. It is impossible to establish standards of sensitivity and good taste in the absence of context. Unfortunately, that doesn’t stop the proponents of sensitivity and good taste from trying. A sense of context allows one to distinguish between the racist use of a generic name as a way of robbing members of an oppressed group of their individual identity and the humorous use of a particular given name as an ethnic marker. In multi-ethnic Brooklyn, the Irish are not the oppressors of the Italians. In the past there was interethnic conflict between the Irish and the Italians in New York, but that past is long gone. By now many Italians are probably named Kevin and Kent, but the popularity of St. Anthony in Italian Catholic devotion means that a lot of Italian men in families that aren’t completely assimilated still bear his name. Although many Italians don’t fit the stereotype of excitability, it’s hard to imagine its evocation causing great offense. Many ethnic Italians probably find the Irish and other non-Italians oddly flat in their emotional reactions. Now it’s easy to imagine a context in which the use of the name Tony to refer a specific Italian might be offensive: “Keep your hands off the merchandise, Tony.” There’s a joke that the name of the Italian car Fiat is an abbreviation for “Fix it again, Tony.” I suppose an Italian nationalist could take that as a serious slur on Italian workmanship. But in genuinely multi-ethnic environments, not every ethnic reference—even of a mildly pejorative sort—is a sign of deep-seated racism. To conflate the Brooklyn Irishman’s joshing reference to bad drivers as “Tony” with the southern racist’s use of “Sambo” to denigrate African Americans is to live in a world devoid of context. It is precisely this neglect of context that has led to such outrages of political correctness as the case of the six-year-old North Carolina boy who was suspended from first grade for giving a little girl in his class a peck on the cheek because his action violated the school’s zero tolerance of sexual harassment. To be sure, some opponents of political correctness want to turn the clock back to a time when truly belittling women and minorities was perfectly acceptable. We shouldn’t give them ammunition. I had never heard the Fiat reference before. Learned something new today.